Unavailable for 2019 shipping, we are hoping to be selling Banana again in 2020, sorry…. 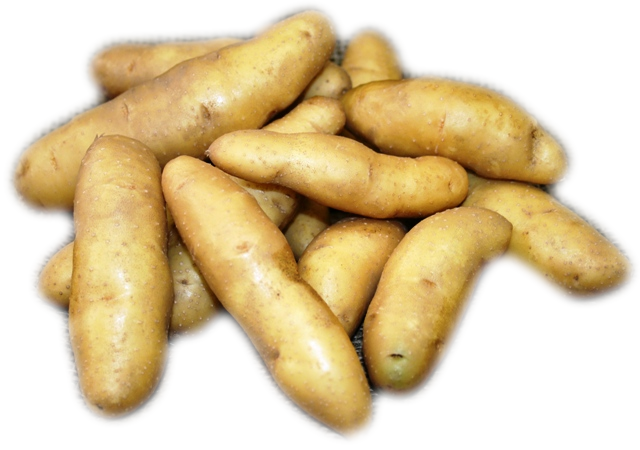 – A late maturing variety with generally, small banana shaped tubers, covered with light yellow skin containing pale yellow flesh. The waxy texture holds the tuber together for fabulous potato for salads. Very high set can be expected. Moderately resistant to common scab.